World class education for the winners, mediocrity for almost everyone else. This story was reported by Globe staff writers Malcolm Gay, Eric Moskowitz, and Meghan E. Irons. It was written by Gay. On paper, Rachel Singh and Shanika Bridges-King have led parallel lives. Both women graduated as valedictorians from Boston public schools in 2006. Both went to elite private colleges and today work as elementary school teachers. But if their resumes are similar, their biographies are starkly different. They tell the story of Boston’s two-tier school system — one excellent, one mediocre — that forces some students to overcome a host of systemic obstacles while offering others a clear path to success. The system seems custom built for people like Singh, the motivated daughter of middle-class Indian immigrants. 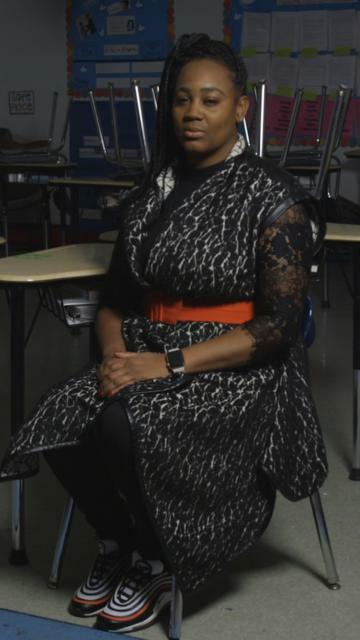 She grew up in an orderly neighborhood of single-family homes near the Newton line, attended a majority-white elementary school, and scored high enough on a special test to enroll at the rigorous Boston Latin Academy, one of the city’s three exam schools — along with Boston Latin School and John D. O’Bryant School of Mathematics and Science — where almost everyone goes on to a four-year college. The message was clear: At a high school where only about a quarter of students go on to a four-year college, even a standout like Bridges-King wasn’t really outstanding. It’s one of Boston’s enduring paradoxes: A city that prides itself on being the “Athens of America” has for decades cultivated a lopsided public school system. On one track, shrewd parents like Singh’s ably navigate the city’s elite schools to ensure that their children receive one of the finest public educations in the country. On the other, children from families that lack savvy, like Bridges-King’s, often find themselves funneled into some of the state’s least effective classrooms. It’s hard to overstate the chasm that divides the city’s exam schools from the rest of the district. Not only do students at the three schools outperform their peers on standardized tests, but by some measures, the schools are ranked among the top 10 public high schools in the state. By comparison, none of the district’s other 30 or so high schools even ranks in the top 50. Students at these schools need more than just good grades to keep up with their exam school peers: They need grit, a willingness to sacrifice, and, with slim margins of error, more than a little luck. At the heart of this vast opportunity gap lies the elective entrance exam, first offered to Boston sixth-graders, that separates the city’s educational winners — who are often white or Asian — from the rest of the district, which is mainly black and Latino. A recent study found that, unlike white and Asian students, the overwhelming majority of black and Latino students did not take the test. The result is a school system deeply divided along racial lines. White and Asian students, who account for less than a quarter of the city’s public school students, made up nearly 75 percent of all seventh-graders entering the flagship Boston Latin School during the 2017-2018 academic year. The racial imbalance recalls the era of segregation before federal Judge W. Arthur Garrity Jr.’s controversial 1974 order to integrate city schools, busing black students to white schools and vice versa. In the 45 years since, middle-class families, mostly white, have largely fled city schools, helping cut the number of public school students nearly in half. Meanwhile, the exam school population has grown by more than 1,200, as the remaining whites and more recently arrived Asians have crowded their ranks. Today, nearly 25 percent of district high school students attend an exam school, an extraordinarily high percentage compared with most cities. By contrast, fewer than 5 percent of public high schoolers in New York attend selective enrollment schools. The heavy reliance on the exam school model allows more students to enroll in Boston’s best schools, but critics charge it does so at the expense of everyone else. Students at the district’s other schools are segregated from many of their most ambitious peers, grouped instead with a disproportionately large number of high needs and economically disadvantaged students. That is not to say the best students from non-exam schools can’t beat the odds and win acceptance to elite colleges, but it’s uncommon, especially compared with top exam school graduates. Five of the eight exam school valedictorians from 2005 to 2007 interviewed by the Globe attended Harvard University. By comparison, just three of the more than 80 non-exam BPS valedictorians interviewed by the Globe attended Ivy League schools, none of them Harvard. For Bridges-King, who became the first in her family to attend college when she enrolled at Bryn Mawr College, a distinguished private school in Pennsylvania, the clear aim of higher education was to escape the gravitational pull of generational poverty and family dysfunction. “My whole goal was to work really hard to get out of this environment and escape my family,” said Bridges-King, who earned a full-tuition scholarship from Bryn Mawr after being selected by the nonprofit Posse Foundation, which recruits students with strong leadership potential. The middle of seven children, Bridges-King grew up in the old Bromley-Heath projects in Jamaica Plain, where her family slept four to a room. Her father was a rare presence. 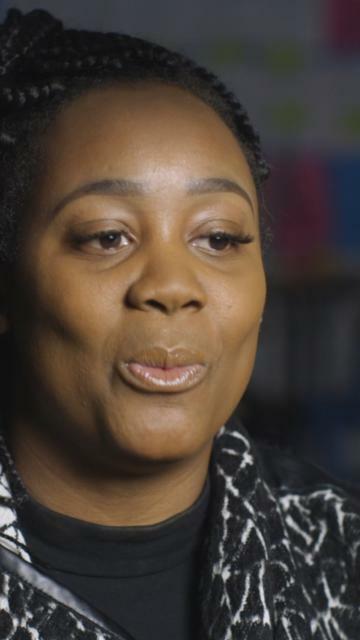 Her mother worked long hours as a parking attendant, leaving Bridges-King to bounce between a neighborhood youth center and her grandmother’s nearby apartment. Violence often engulfed her old neighborhood, and she vividly recalled being kept indoors when gangs would churn through the complex. Home life could be similarly unsettled. She spent a year in the foster system, and a later eviction forced the family to live in her grandmother’s living room. 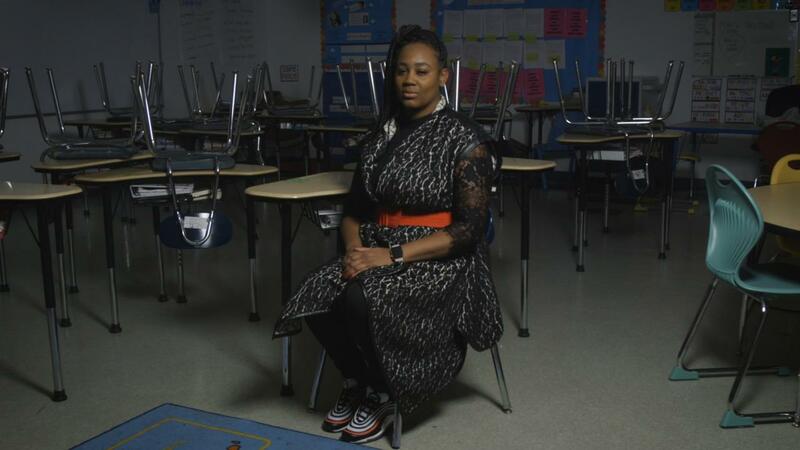 School was a refuge, and Bridges-King soon became one of the top students in her class — first at the old James M. Curley elementary and later at the Phillis Wheatley Middle School in Roxbury. All that work and academic achievement impressed her teachers at Wheatley, who urged her to enroll in private school. As it turned out, there was another escape route for promising young students like Bridges-King: an exam first given to third-graders that might have placed her in Advanced Work Class, a pipeline to the exam schools. But Bridges-King doesn’t recall taking the test, only becoming aware of it years later when she had BPS students of her own. Life at English High, however, would be different — a lesson she says she learned just three weeks into her freshman year. Though the family eventually got their own place — and Bridges-King her own room — home life remained difficult. She ultimately purchased a small refrigerator for her bedroom to reduce contact with her family. As Bridges-King was entering high school, Rachel Singh was starting her third year at Latin Academy. She’d spent her early years at the majority-white Burr Elementary School in Newton courtesy of METCO, a state-funded program that enables Boston students to attend schools outside their home districts. Unlike her more affluent classmates, Singh grew up sharing a bedroom with her older brother in the family’s modest two-bedroom apartment in the Boston section of Chestnut Hill. Nevertheless, she felt at home among her Newton classmates, joining a mother-daughter reading group, singing in chorus, and participating in school theater productions. When Singh tested into Latin Academy in 1999, exam school admissions were undergoing a dramatic transformation that ended the practice of reserving 35 percent of all seats for minority students. The new race-blind policy — still used today — bases admission chiefly on grades and test scores, which has led to an increase in the number of white and Asian students at the elite Boston Latin School. Meanwhile, the percentage of black and Latino students has declined, accounting for just 22 percent of all seventh-graders entering Latin in the 2017-2018 academic year. A big part of the imbalance reflects who takes the voluntary entrance exam — and who doesn’t. In recent years, more than 60 percent of white students in Boston and nearly 80 percent of Asians took the test, according to a recent report. By contrast, just more than 25 percent of black and Latino students took the exam. School officials said they hope to ease the disparities next fall when they begin offering the test to sixth-graders at their home school during the school week. But that won’t address a second driver of racial imbalance: the built-in edge of children with engaged parents who know the right lower-grade schools or can afford to pay nearly $2,000 for private test-prep tutoring. Laura Perille, the interim superintendent, said the district is combating some of these imbalances by expanding access to both accelerated courses and a free test-prep program, but she acknowledged there’s still a long way to go. Singh had always been a decent student, but she became singularly focused on college admissions at Latin Academy, where she rounded out her resume by tutoring other students, running track, and becoming a leader in the school’s Classics Club, an extracurricular group devoted to classical antiquity. She talked ceaselessly with friends about college applications. The family discussed the benefits and risks of early admission, but it was the daughter of a family friend who gave her the insider’s edge her less well-connected peers might have lacked: She joked that her college essay was about all the lies she tells. Ah, the personal essay has to be funny, Singh recalled thinking. “Let me tell you all the things I’m not good at, because my application will show you everything I am good at.” Her essay, which she worked on in AP English and which detailed her physical clumsiness, was titled “Graceless.” She sent it to nearly a dozen schools, several Ivies among them. It worked: Singh got into nearly every school on her list. Rachel Singh and Shanika Bridges-King both ended up back in Boston public schools after college, this time as teachers. When they met at the Boston Teacher Residency graduate program, they realized they had both been valedictorians four years earlier. They had something else in common, too: Both women had found college challenging. Singh, for all her academic preparedness, had her own struggles at Harvard. Bridges-King eventually learned to navigate campus life, spending a formative year in England and later doing an independent study with the Philadelphia schools. Still, as a sociology major, she labored to square what she was learning with her lived experience. Singh, meanwhile, chafed against her academic setting as well, feeling her classes were far removed from the world’s more pressing concerns. Singh, who first taught in BPS but later moved to Maine with her partner, now teaches first grade in Bar Harbor. She enjoys the work, but she remains deeply ambivalent about leaving Boston, where she was passionate about helping to close the achievement gap at BPS. Bridges-King, meanwhile, has also left the district, but for different reasons. 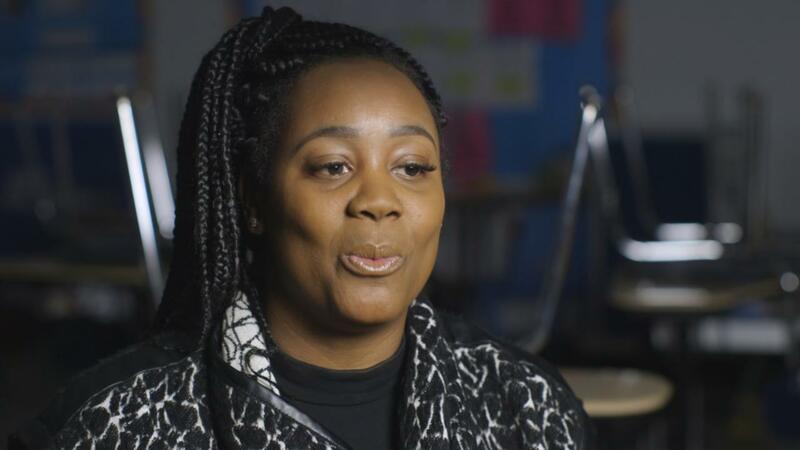 Today, she’s raising her daughter alone and teaching fifth grade at a charter school in Boston. She hopes to enroll in a doctoral program and inspire her daughter to conquer the many obstacles she herself has had to overcome. Still, the pull of the past remains strong, sometimes nearly unbearable.